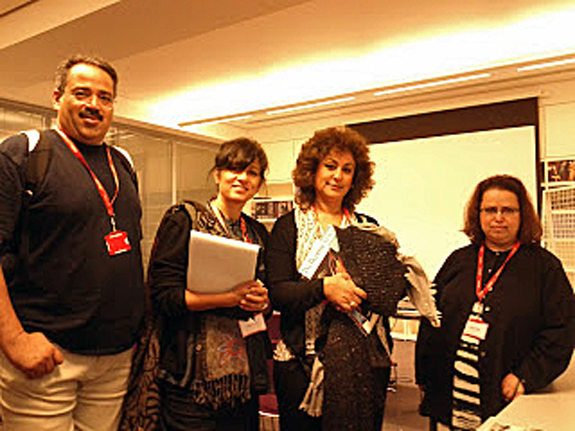 The Wellcome Library was honoured to receive a visit yesterday from staff of the Kuwait Digital Repository at the Kuwait Institute for Scientific Research: Ms. Shatha D. Al-Own (Project Leader), Ms. Amani Al-Othman (Principal Investigator), Mr Muhammad Mozafar (Task Leader), and Ms. Eiman Al-Awadhi (Task Leader / Information Services Manager). 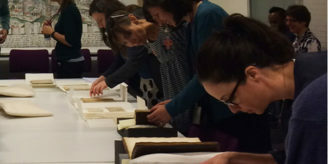 In addition to seeing the Wellcome Library’s own digitisation program and Arabic manuscripts projects, our visitors took time to see some historic documents from Kuwait itself in the Wellcome Library’s holdings. 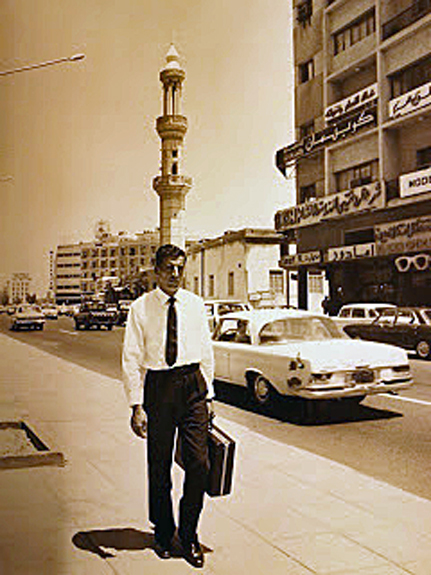 The records of the Wellcome Foundation (pharmaceutical company) include photographs of their representative in Kuwait in the 1970s showing to pharmacists the new drug Zyloric (allopurinol), the Wellcome medicine which transformed the lives of gout-sufferers. The photographs include evocative street scenes (above) and views of office equipment of the time. 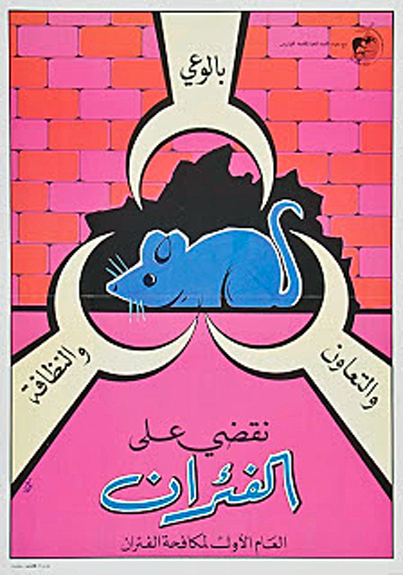 From about the same period (starting in 1979) come a series of posters produced as part of a campaign of eradication of rats from Kuwait. The posters were at first produced as relatively simple screen prints but soon went over to offset lithography with striking colour effects. The posters in the Wellcome Library come from the collection of David Drummond, a consultant on vermin eradication with the World Health Organization, whose remarkable collection of rat- (and mouse-) related prints was dispersed earlier this year. 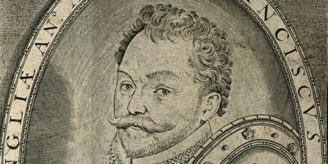 The most recent works deal with eradication and prevention of another plague: AIDS. These posters, issued by the Kuwait Ministry of Health, date mostly from the early 1990s; on one of them (right) we read at the foot the legend “Don’t forget our POWs”, a reminder of the horrors of the invasion in 1990. We wish our Kuwaiti colleagues every success in their ambitious projects in the field of scientific information.